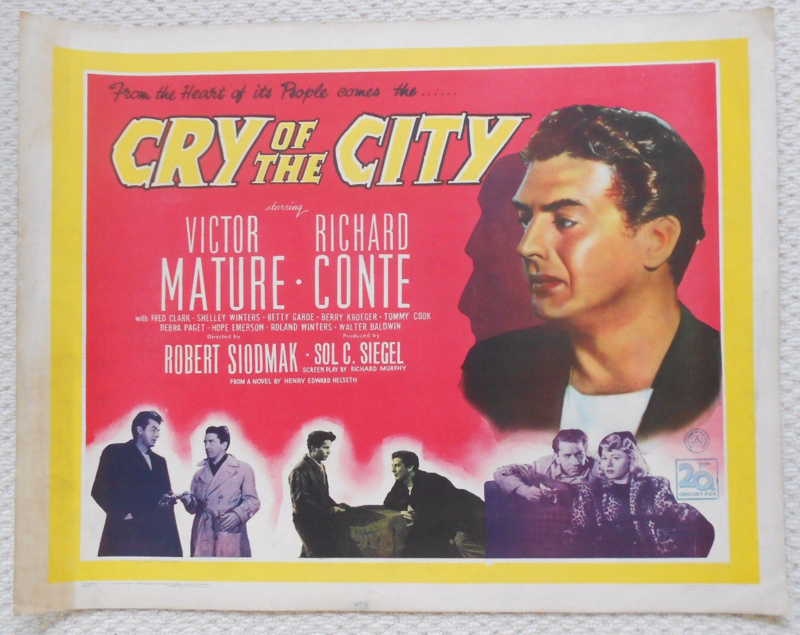 Original 1948 British half sheet movie poster from the Robert Siodmak Classic Film-Noir ' Cry of the City '. 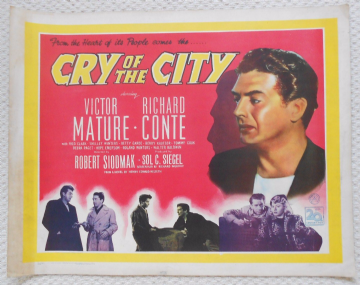 starring Victor Mature, Shelley Winters and Richard Conte. This poster is in VG-Fine condition and measures 22" x 28". The poster has dirty borders. Fantastic poster of this classic Noir film. The Half sheet is pretty scarce, in this condition it's a rarity.